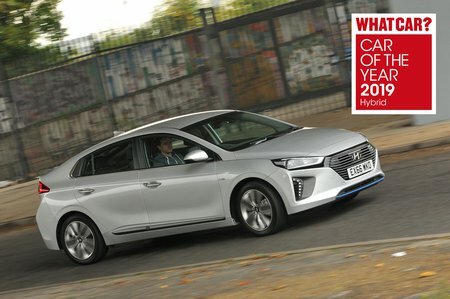 Hyundai Ioniq 1.6 GDi Plug-in Hybrid Premium 5dr DCT 2019 Review | What Car? What Car? will save you at least £2,082, but our approved dealers could save you even more. We’d say spend a little more to step up to Premium, though, because it adds keyless start, a 7.0in driver's instrument cluster as well as an 8.0in main touchscreen with sat-nav and smartphone mirroring. You also get an extra USB port, xenon headlights, heated front seats and wireless phone charging.